No, it is not a typo. There are some new changes to insurance coverage under the Affordable Care Act that will have a big impact on one of America's often overlooked health care needs: hearing. Did you know that one in five adult Americans have some form of hearing loss according to the National Institute on Deafness and Other Communication Disorders. Yet, only about one in five of the one in five with a hearing loss actually have used a hearing aid in the past. That translates into about 40 million adult Americans go without a device that could re-engage them with the world, and it mostly is because hearing aids are expensive - about $1,000 to $5,000 - and last only about three to five years before a replacement is needed. The implications for the older population are staggering. Among adults between 65 and 75 years of age, the percent with some hearing lost, but this jumps to fifty percent of those 75 and older who have a hearing deficit. In past blog postings, I have talked about two of the major challenges of aging: loss and isolation. Picture those two amplified by the inability to hear the words of comfort from another person or to engage in social activities simply because one cannot hear well. But there are changes afoot. The Affordable Care Act stipulated a requirement for coverage for the ten "essential health benefits" (EHBs). Advocates for hearing health see number 7 of these ten as applying to hearing: "rehabilitative and habilitative services and devices." While this is not a done deal, there are increasing numbers of states and/or insurers who are getting on board with hearing health just as they had in the past with vision or dental health. UnitedHealth Group has introduced a hearing health option in 2011 that can be either a benefit or at least a discount. Closer to home, Blue Cross/Blue Shield of Illinois is now offering a discount benefit to their members through TruHearing. With these giant insurers in the lead, you have to believe that others will follow now that the playing field for health insurance has become more competitive. You should also check your AAA insurance or AARP membership for discounts. And Veterans Benefits and the Federal Employee Benefit Health Program have always included a hearing health benefit for their members. If you are a caregiver to an older loved one who is having hearing difficulties, give one of these entities a call. You may be very pleased at what you - and your loved one - hear. Charlotte Bishop is a Geriatric Care Manager and founder of Creative Care Management, certified professionals who are geriatric advocates, resources, counselors and friends to older adults and their families in metropolitan Chicago. Please email your questions to info@creativecaremanagement.com. If you are a caregiver to an older loved one, you may find it a bit overwhelming to keep up with all the medications they take each day, and the times of day they take them. But have you thought about the potential side effects as well? The average older adult living independently is taking more than five prescription medications daily, and those in nursing homes may be taking at least seven prescription medications. We call this “polypharmacy.” We all have at least some sense of the side effects that many of these medications may carry, but what you may not know is that some of these medications have some unhealthy interactions with the other medications. Recent research in the United States among older adults living independently found interactions between drugs in about 15% of the cases. In another study in Europe that tracked older patients being discharged from hospitals, as many as 70% were on medications with some interactions, and 24% were at risk for serious interactions among the drugs they were taking when they were discharged. What should you look for? Review the medications your older loved one takes looking specifically for these medications: • Statins – the drugs used to lower cholesterol • Proton Pump Inhibitors - the drugs that work against GERD or acid reflux • Antibiotics - the real offenders tend to be sulfa drugs or fluoroquinolones • NSAIDs - these are the pain relievers like Naprosyn, Motrin, etc. • SSRIs - these include the anti-depressants like Prozac, Celexa, Paxil • Calcium-Channel Blockers - like Norvasc • Warfarin – the blood thinner also known as Coumadin. This seems like a short list...no problem. 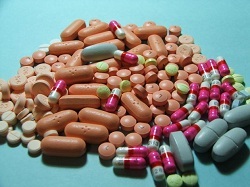 The fact is that statins are the most commonly prescribed drug for older adults. More than half of those over age 55 are prescribed statins to lower their LDL. About one in five older adults in America take PPIs. And you can see with the number of medications your older loved one may take the likelihood of an interaction escalates. And some of these drugs also do not play nice with certain food groups or vitamins. If you see signs of muscle weakness, cramping or difficulty standing or walking, as well as fatigue or confusion, check in with your loved one’s doctor. But if you really want to be proactive take the list of the medications your loved one consumes regularly to your local pharmacist…and don’t forget to add the over the counter medications which can include PPIs or NSAIDs as well as an accurate assessment of alcohol intake. And next time you accompany your loved one to a physician’s office visit and the doctor recommends a new prescription, ask what can be taken from the list! Charlotte Bishop is an Aging Life Care Advisor, Geriatric Care Manager and founder of Creative Care Management, certified professionals who are geriatric advocates, resources, counselors and friends to older adults and their families in metropolitan Chicago. It was a story about a prescription shared over lunch recently. During the course of a lunch with a caregiver, he relayed the “prescription” his spouse had received some ten-plus years ago from a specialist when she was first diagnosed with a chronic condition. …and how that specialist had reinforced that same prescription now more than a decade later, because it was working so well. When originally prescribed, the spouse had just received a diagnosis for one of those chronic and degenerative conditions no one wants to receive. While offering a medication that would help to mitigate some of the physical manifestations of the condition, the doctor paused and added another prescription. He said, “I also prescribe that you stay active, you stay engaged and you stay loved.” Let me explain, and then let me share the outcome of this doctor’s prescription. The doctor knew that retaining the same level of activity as the patient had once enjoyed was not a realistic expectation, but to continue any activity was vitally important to her well-being. Staying active means walking when you can no longer jog, or going for a drive when you can no longer bike in the country or embracing new activities or hobbies, learn a language or take up arts or crafts when you may no longer able to do the heavy lifting of what used to keep you active. Staying engaged means not giving up, for sure. But it means sharing experiences with others. It can be as basic as attending a musical or drama event or being engaged in an organization that is focused on lending a hand to the less fortunate. It means seeking help and accepting help from others within the community or even going on line for support. There is a support group for almost every chronic condition, and sometimes the affirmation of just knowing that someone else actually has experienced what one is now experiencing can be a breath of fresh air. Staying loved is a special kind of engagement. And to stay loved, one also must extend oneself and love another. It also means that one must engage in self-care, the active effort to feel better. It can also be as simple as taking time to relax, binge on a favorite program, read a book or listen to some particularly special music…especially with someone that one loves. There are a couple bonuses in this particular doctor’s three-pronged prescription. One, this particular patient has not had a change in the other prescription dose or strength in that entire decade-plus. Their condition is, as they say, well-managed. 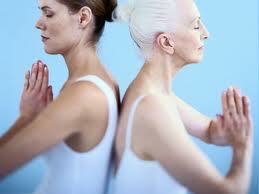 Two, it is great advice that the caregiver could follow and derive benefit as well. I always tell caregiver’s that there is an “I” in caregiver. There also is an “I” in care receiver! Charlotte Bishop is an Aging Life Care Advisor, Geriatric Care Manager and founder of Creative Care Management, certified professionals who are geriatric advocates, resources, counselors and friends to older adults and their families in metropolitan Chicago. She also is the co-author of How Do I Know You? A Caregiver’s Lifesaver for Dealing with Dementia. I get asked a lot of times what we do as geriatric care managers, and you can go to our national association's web site (caremanger.org) for their answer. But since we most often get called in to address a life crisis or other life-changing event in the life of an older loved one, I thought it would be helpful to offer what it looks like in action to be a geriatric care manager (a GCM) when the call comes in. As a GCM, what we do best is assess a situation, make a plan and then assist in executing the plan. Most of the caregiver calls we get, however, leave very little time to assess and plan, because it is a family emergency when our phone rings. Mom or dad has fallen with a resulting hip fracture or mom or dad has had a stroke or a heart attack or some other medical emergency. A geriatric care manager is not the first responder, but we are the second responders who help the older loved one's support system find their options and recover some sense of normalcy. Sometimes it becomes a new normal, because life has changed for everyone. Caregivers may not realize how "normal" has changed so instantly at first, because the hospital providers have done a remarkable job of stabilizing the patient and averting a life-ending disaster. And even the course of the hospital trajectory seems normalizing. A discharge planner comes to the older loved one's room and explains how home health will be prescribed or how physical therapy will be ordered and the road to recovery seems pretty clear. At this point, please do not mistake what I am saying for a criticism of hospital discharge planning, but look closely at what they call the process. They do not call it normalizing planning, they do not call it the new normal planning, they do not call it life planning; they call it discharge planning. Their major focus is on getting the patient safely out of the hospital and into the next level of care - it may be a rehab center in the case of a broken hip or a nursing home in other cases or home with a provider coming to them for their care. But who is looking to help create a plan for regaining and optimizing quality of life? Who is there to help make home a safe place for an older loved one with some new physical or health deficits that were not there before? I have just given the job description for a geriatric care manager. GCMs are the people who help make home safer...or if not home, then help to offer the options for a safe place for your older loved one. We are the people who help to find and coordinate the services or physical assists for a person whose life-changing event will not allow life to go back to what it once was. As I tell our clients, we are the option-makers for the decision-makers, and "quality of life" is our goal not just for the older loved one, but for all the caregivers as well. 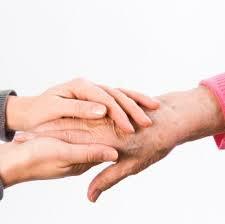 We also are the voice of the caregiver and the older loved one. We are the advocates who will speak up when a referral is not to the appropriate medical specialist or when something in the medical record does not make sense. One of my clients once observed that we "translate medical speak" for the family. And we even go one beyond that by asking questions not every lay person would think to ask. We also recognize what a tough path an older loved one's care trajectory can be for the caregiver. 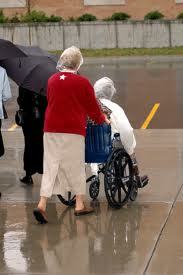 We are there to help care for the caregiver as much as for the older loved for whom they called us in the first place. Charlotte Bishop is a Geriatric Care Manager and founder of Creative Care Management, certified professionals who are geriatric advocates, resources, counselors and friends to older adults and their families in metropolitan Chicago. Please email your questions to info@creativecaremanagement.com. With over two decades of experience in elder care services, we have assessed and developed close relationships with the best retirement communities in Chicago and its surrounding areas so we can connect you with the best of the best. If you are considering transitioning your elder loved one to a retirement community in Chicago area area, you know that choices are plenty and oftentimes it’s not clear what is the right choice. That is where we come in. Our Chicago elder care specialists work to ensure the best living arrangements possible for your loved one. A retirement community refers to a housing complex or building of older adults living independently surrounded by their peers, without any extensive outside assistance. Life in a retirement community is about convenience and the independent freedom to connect socially with other retirees in a safe and relaxing environment. Residents are free to explore their surrounding communities, and many of them maintain and operate their own vehicles. Is retirement community right for you? If your elder adult is interested in the freedom of independent living with the benefit of being surrounded by their peers, a retirement community may be what they are looking for. However, to make sure this is the ideal arrangement for your loved one, we always begin by conducting a thorough evaluation of their lifestyle preferences, their physical and mental state, and even an associated budget. Then, based on the information we uncover during evaluation, we develop a personal geriatric care plan for your loved one and present top choices for retirement communities in the area. We even take care of the application paperwork for you. We know that trying to maintain a balanced lifestyle, while taking care of an elder loved one is difficult, but if you have the right people helping you, it is doable. So, contact our geriatric care managers today for a free initial consultation and let us help you make your life and the life or your elder loved one balanced and stress-free. CALL: 855-455-5118 x512 or just fill out the form. I was just reminded of a very important aspect of senior residential options that can get overlooked in conversations between caregivers and the elders with whom they discuss their residential options. As a geriatric care manager, I often am asked to facilitate the discussion that a family will have with mom or dad or other loved one as they consider moving out of what can be their lifelong home. Safety – Older adults can become a bit fearful about going out at night or live in fear of break-ins and more. Senior residential options offer a very safe alternative, often with security personnel and gated grounds. Medical Security – We have all seen the ads for “help, I’ve fallen…” Senior residential communities have behind the scenes staff to respond to emergent needs as well as support independence with help for activities of daily living. But there is another facet of senior residential living that can be overlooked - a sense of community. I have a client who is now 85 who had tried a senior residential community when she was in her seventies. She and her husband moved back out within a year, because they did not feel “that old.” A few years later, the now-widowed wife moved back in to the same place, because she wanted all those items above. But also because she wanted a sense of community. The residence, it seemed, acted like her more manageable size version of a neighborhood. For her, it was a group of people she could play bridge with in the afternoon after lunch dishes were cleared away in the common dining area. It was a place where just down the hall (what used to be just down the block) were people she could just drop in and visit with when she felt like it. In fact, a lot of her neighbors keep their doors open all day so that people who walk by can feel welcome to do just that. There are weekly events and daily activities at most senior residential communities ranging from book club meetings to – yes, bingo - and sing-alongs and craft clubs. If you listen to any of these people, they like “being active.” And for them, active is all of the above. They even have gatherings to get really active in yoga or stretching classes adapted to their older bodies and more limited range of motion. 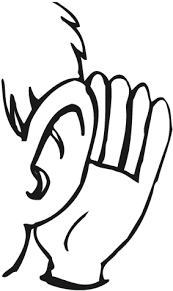 So, if you are a caregiver having a residential discussion with your older family member or friend, listen for the cues. Do they talk about feeling lonely, isolated or just not being close to friends? And if they have been active in clubs and groups, but lately are not as active? This may be where it may be time to talk about a neighborhood where everything is within a short walk. To answer your first question, Fisetin (pronounced fy-set-in) is a flavonol which is a class of flavonoids found in a number of plants and fruits or vegetables. They are antioxidants, and you may have seen some of the research on the flavonols in chocolate that are thought to help patients with mild cognitive impairment. Some other common sources of flavonols are onions, kale, lettuce, tomato, grapes, berries, tea and red wine. One of the rules of thumb is the greener the leaf, the more of the flavonols the plant will contain. Back to fisetin. Some researchers at the Salk Institute for Biological Studies have published some scientific work based on animal studies that show promise for fisetin's ability to protect the brain's memory from the inexorable degradation of Alzheimer's disease. They have done this in mice, and the scientists think that fisetin has a neuroprotective capability that helps the memories of mice in laboratory tests. The clinical test used three groups of mice. Two groups consisted of what are termed double-transgenic Alzheimer's disease (AD) mice. The third group was the control, and these mice did not have the Alzheimer's transgene. Mice in one of the first two groups were fed fisetin at three months of age until they were nine months old. The other group received no fisetin. Scientists use a water maze as a standard test of mouse learning and memory. The mice without the fisetin did not perform well in the mazes. Those who had been fed the fisetin, however, performed as well as the mice in the control group. Tests were repeated again at 12 months of age, and the results were very much the same with the fisetin mice doing as well as the control mice. Researchers are not prepared to jump immediately into human subject trials, but there is work underway to better understand at the molecular level how fisetin may be working on mouse brains. Ever hopeful, the scientists are also investigating whether fisetin offers any hope of actually reversing the neuro-degradation of AD. What do we take away from this research? Well, animal studies cannot provide a sound rationale for all caregivers to go out and stock up on fisetin rich foods to help an older loved one forestall Alzheimer's progression. But is it a good idea to encourage your older loved one to consume foods rich in antioxidants? probably yes, but as with any dietary, activity or medication change, always consult with your loved one's provider. Charlotte Bishop is a Geriatric Care Manager and founder of Creative Care Management, certified professionals who are geriatric advocates, resources, counselors and friends to older adults and their families in metropolitan Chicago. Please email your questions to info@cr eativecaremanagement.com. Music does not seem to have a measureable impact on a patient’s agitation. But the researchers suggest that there may be an effect, but since the therapy sessions may have been too long in duration, the effect may have been clouded by patients’ in ability to be stationary for the duration of the tests. The “calm” that was expected also could have been clouded by social interactions among patients in a group setting. The findings were pretty much the same with aggressive behavior. There is no evidence. They could not sort out all the other background noise – not the music – to say with certainty that music reduced aggressive behavior. What did seem more clear is that patients who had been predisposed to depression seemed to have a lifting of their moods with music. While this was a more consistent pattern, it might also have been confounded by the fact that the music therapy took place in a social setting. And isolation is one of the big causes behind depression. When it comes down to it, we really cannot conclude that one kind of music will always have the same effect on all people. The fact that there were some positive changes across most studies, however, suggests that it is more than a bunch of notes. Music can make a positive difference for people who have cognitive issues…it simply may not be enough. But at the end of the day, we may come back to the traditional rule about not doing harm. If music is not a problem for people, then let the band play on. Charlotte Bishop is a Geriatric Care Manager and founder of Creative Care Management, certified professionals who are geriatric advocates, resources, counselors and friends to older adults and their families in metropolitan Chicago. If you are a caregiver, the most important item your older loved one can bring to a doctor's visit is ... YOU! It is really helpful for your older loved one to have an extra set of ears to hear what the doctor asks or says about your loved one’s condition, but it also allows a caregiver to ask questions that may not have occurred to your loved one. And frankly, there are a number of people “of an age” who just don’t feel comfortable questioning their physician – Doctor Knows Best, etc. Well, now physicians are also bringing along a companion to the office appointment. Some hospital systems are adapting their own technologies to uses that are compatible with the Smartphone platform. There are still others that are available for doctors to use with their patients, and many of these are in the App Store. The next time you accompany a loved one to their medical appointment, as your physician about: • Treatment Plan – an App that allows health care professionals to customize a treatment plan to your loved one’s condition. It allows the provider to formulate a specific treatment plan that can be sent to another Smartphone in order to track details once the patient returns home. • Treatment Progress Indicator – Especially for conditions like anxiety, depression or other behavioral issues, it is important that the patient carries home the plan of action as well as a regular update using a diagnostic tool like a short form questionnaire to see that symptoms are resolving or that the patient is adherent with the medication. • Physical Therapy To Go – Anyone who has been to medical visit with physical therapy as part of the at home recovery has seen the paper stick figure drawings of how the therapy is to work. Some of that can easily get lost in translation, and worse yet, are the recommendations that are verbal. They now have an App for video instruction on how the actual therapy is to work. • Prescription Adherence – We have come a long way from the day of the week pill boxes. There are now reminders that can be uploaded to the patient’s phone (of the caregiver’s phone) to persistently remind the patient when it is time to take that pill. In some applications, it also will block taking a pill when it is not the right time. There is a growing host of other Apps that physicians have at their fingertips that can help diagnose skin lesions or other dermatological issues. They also have Apps that can transmit photos of wounds from bed side in a nursing home in order to get informed recommendations from wound specialists to the bid side providers. And there will doubtless be even more as early as … well, tomorrow. Stay tuned. Charlotte Bishop is an Aging Life Care Advisor, Geriatric Care Manager and founder of Creative Care Management, certified professionals who are geriatric advocates, resources, counselors and friends to older adults and their families in metropolitan Chicago. She also is the co-author of How Do I Know You? A Caregiver’s Lifesaver for Dealing with Dementia. frequency and intensity of regular exercise. For that last item, they have a brief check list for you to approximate the rigor of your weekly fitness routine, and for resting pulse, just find a quiet place and count your pulse for 30 seconds and then multiply times two. To let their algorithm tell you what your or your older loved one's fitness age is, just go to http://www.ntnu.edu/cerg/vo2max and plug in the numbers. No one can control their gender or their birthdays, but the exercise part and the waistline part are controllable. So, this is a way not only to find your "real age," but also to take years off that number. Good luck on that and Happy Birthdays.